After exactly 37 years of extraordinary and wide-ranging service, Professor Robert (Bob) Sparks officially retired from the UBC School of Kinesiology on August 31. A native of Massachusetts, Professor Sparks’ early years were highlighted by an active lifestyle of outdoor activity, a Bachelor of Arts degree in French from Wesleyan University, Middletown, Connecticut and four years of enlistment in the US Navy. He underwent basic training at Great Lakes, Illinois followed by Radioman school at Bainbridge, Maryland, scuba diver training at Coronado, California and Airborne Parachute Training at Fort Benning, Georgia. Following a tour in Vietnam, he instructed free fall parachuting for the Navy in Coronado and served as a member of the US Navy parachute exhibition team. After completing his enlistment, he earned a commercial pilot’s licence and then enrolled in a Master’s program at the University of Massachusetts, Amherst (UMass) where he taught scuba diving, rock climbing and an outdoor adventure course. Utilizing his extensive experience in adrenalin pursuits, his thesis was titled “High risk sports: A philosophical investigation.” He entered a PhD program in 1976, but continued to teach outdoor education courses at Springfield College and scuba diving at UMass and in the Caribbean. After responding to an advertisement placed by UBC in the Chronicle for Higher Education, Professor Sparks began his career on the Point Grey campus in the fall term of 1980 with a full-time post that consisted of a unique combination of fifty per cent Assistant Professor in what was then the School of Physical Education and Recreation and fifty per cent as University Diving Officer (UDO), a position in which he was to coordinate, regulate and facilitate use of underwater diving as a research tool in the marine sciences. In this capacity, he conducted “check out dives” for faculty and students, developed diving regulations for the University, and helped found the Canadian Association for Underwater Science and the CAUS Standard of Practice for Scientific Diving. During his first term of employment at UBC, he completed and defended his dissertation at UMass Amherst, titled “Intentional action in sport: A philosophic investigation” and was awarded his PhD in the spring of 1981. He taught and conducted research in philosophy of sport and socio-cultural studies and instructed underwater diving until 1987, when a change in the UDO position resulted in it being no longer compatible with an academic position. 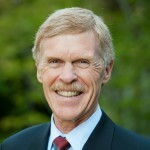 Confident that Sparks had a great deal to offer, then School director, Dr. Robert Morford, appointed him full-time to the School, at which point he transitioned into mass communications, health promotion, sport sponsorship and marketing, in which areas he developed an active program of funded research. As it turned out, he didn’t have to look beyond the familiarity of Point Grey to secure a leadership position, as the opportunity arose at UBC in 2004. During his two terms as director (2004-2015), he committed to a distinctly collaborative and distributed leadership style, in which faculty members were invited to participate directly in the planning and operations of the School. This period saw the appointment of 11 extraordinarily talented teachers and researchers, as well as several full-time staff to oversee various community, alumni and student service initiatives that aligned closely with the University’s overall strategic plans. These initiatives included the expansion of existing programs founded under the leadership of previous directors, and the creation of new programs in student development and advising, alumni engagement, international student recruitment and co-op education. He also worked collaboratively with other members of the university community to undertake important research, teaching and community outreach initiatives made possible by Vancouver serving as host city for the 2010 Olympic and Paralympic Winter Games. This included the founding of the Centre for Sport and Sustainability as a UBC legacy of the Games. In 2008 Professor Sparks began an engagement process with students and faculty to change the name of the School, an initiative that proved to be a lengthy and at times contentious undertaking, but one that eventually garnered wide support of alumni and students alike. The changing of the name to the UBC School of Kinesiology was approved by Senate in April of 2011, signalling an important juncture in the School’s decades-long evolution. Professor Sparks himself served for three terms on the University Senate and participated in various Senate committees and other groups in pursuit of enhancing the University’s learning and research environments as well as its service to alumni and the wider community. As chair of the Senate Academic Building Needs Committee he helped raise the profile of facility issues at the Point Grey campus, and spearheaded an action plan to involve the Faculties and Senate more directly in campus planning and development. In his capacity as Chair of the Senate Admissions Committee, he worked closely with the Faculties and administration to monitor and update admissions policies and support the University’s strategic priorities in admissions innovation, campus diversity, Aboriginal engagement and international engagement. He actively supported the Senate Ad Hoc Committee on Student Mental Health and Wellbeing and contributed to a related Senate review that resulted in increased awareness and responsiveness by Senate committees. In his capacity as director, he ensured the School had its own strategies in each of these areas and was engaged with the University’s core strategic initiatives including a new central administration focus on health. “There are few people, if anybody, who have witnessed and been directly involved in as much transformation as has Professor Bob Sparks, both within the School and the University as a whole,” said Director, Rob Boushel. “His contributions over the last 37 years as a faculty member, leader and ambassador have been vast, wide-ranging and altogether extraordinary. His exemplary personal integrity as a leader and genuine dedication to the School have been equally impressive. On behalf of the entire School of Kinesiology community, I am honoured to thank him for his service and congratulate his many achievements”. In retirement, Professor Sparks and his wife Kathy, who have three adult sons, continue to lead active outdoor lives, and reside in Vancouver.